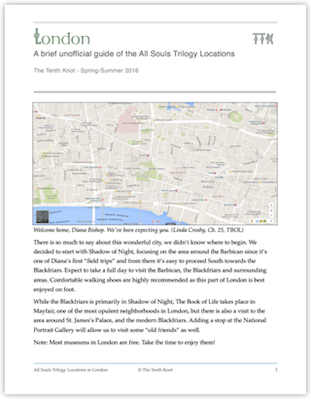 In the summer of 2015, we posted the #AllSoulsWatch Survival Guide—It feels like a lifetime ago! 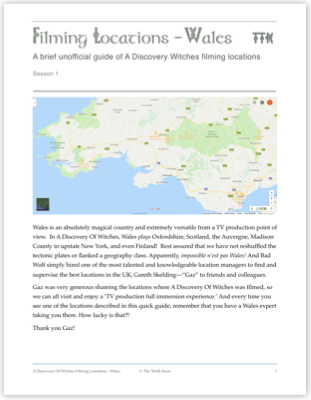 We figured we should update it for all the fans that are waiting for A Discovery Of Witches to air in their country (us included). You’re not alone. As a reminder, if you’re in North America, A Discovery Of Witches is expected to air in early 2019 on Sundance Now and Shudder, with all the episodes available at once (binge-mode). The show will also air weekly episodes on the Sundance channel. Credit for the #AllSoulsWatch hashtag: The All Souls Podcast. 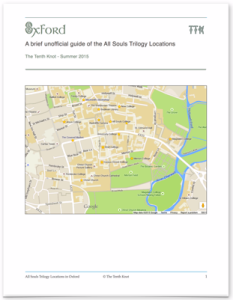 Hope our survival guide will help make the wait for the TV series seem a tad less painful. And luckily, we have a new book to keep us occupied. Read and re-read Deborah’s new wonderful book, Time’s Convert. The audiobook counts. 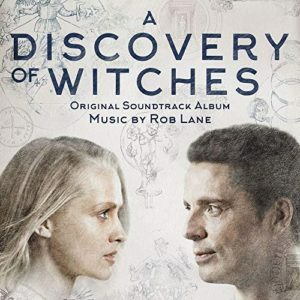 Re-read A Discovery Of Witches in real-time, or listen to the audiobooks in real time (daemonic narration by Jennifer Ikeda). 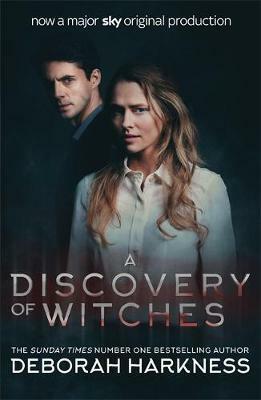 Gift yourself the new A Discovery Of Witches TV series book tie-in cover. It’s less than $10 and Book Depository offers free worldwide shipping. Join Deborah at one of the book signing locations if you’re in the USA (and the UK). Create a conventicle to meet other like-minded fans. We’d be happy to promote it and help you find other fans. Facebook, Meetup.com are all good tools to create events. Ask your local library to organize a book club or a gathering. All Souls Con: Watch all the past videos from the Con at AllSoulsCon.org/videos. 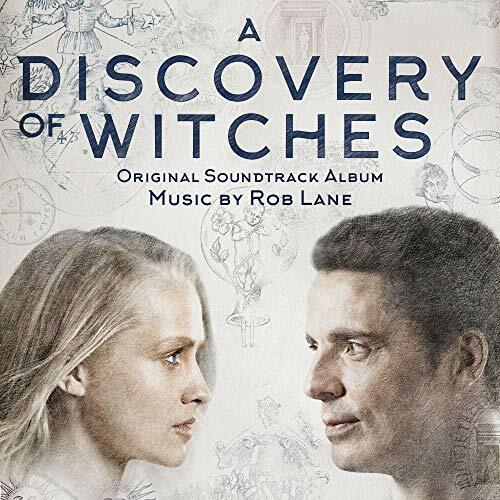 Obsess about the soundtrack of A Discovery Of Witches by Rob Lane. It’s one full hour of epic music! Look on Spotify for Deborah’s brilliant playlists. The new Time’s Convert playlist is available. Links are on our home page, under Merchandise on the top menu. Most items are still cheaper than Côte Rotie. We also have the yearly All Souls Holiday Shopping Guide, with All Souls-inspired gifts under $30. 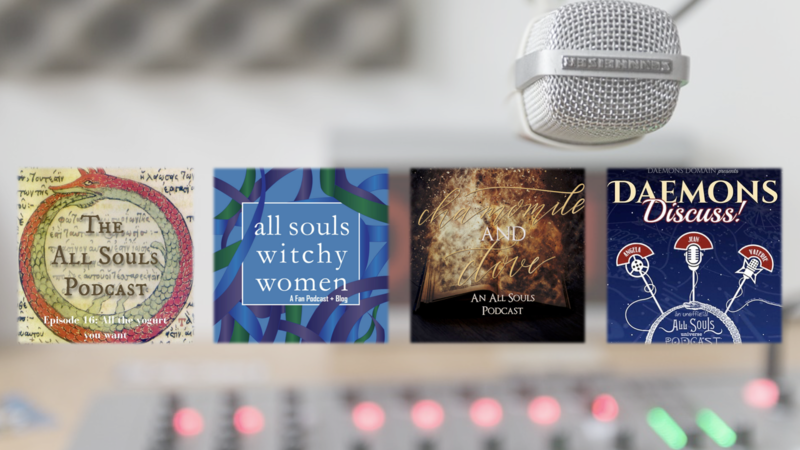 Enter a giveaway: Daemons Domain, the All Souls Podcast, All Souls Con, and The Tenth Knot are having or will have giveaways. Hire a timewalker (and fast forward to 2019). Plan a party for 2019! 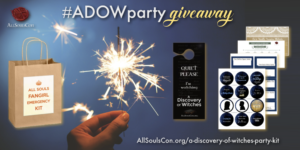 It’s never too soon and All Souls Con has a party kit. Let us know if you have any other idea. Just email us!